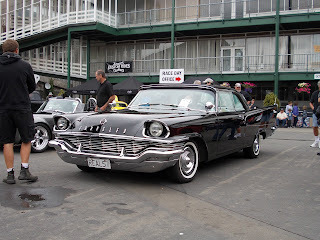 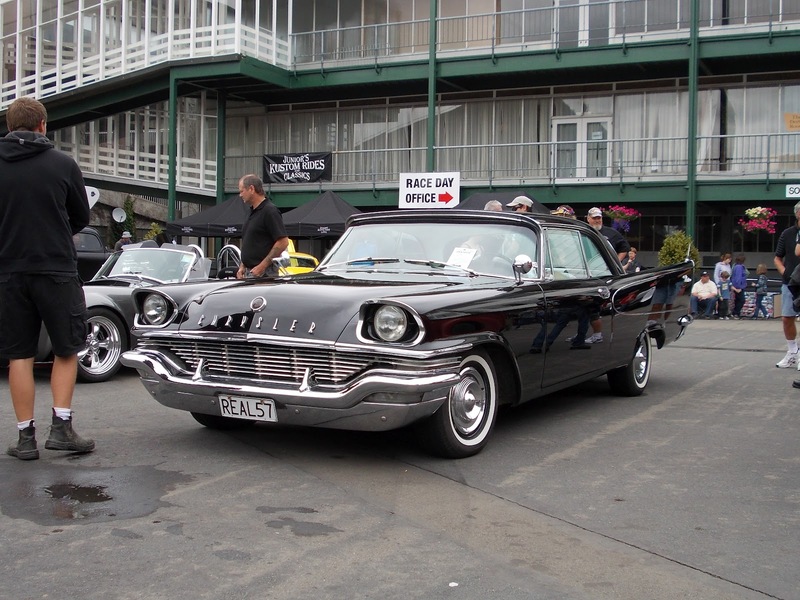 This 1957 Chrysler Windsor hasn't got a sign on top, it's just my poor photography. 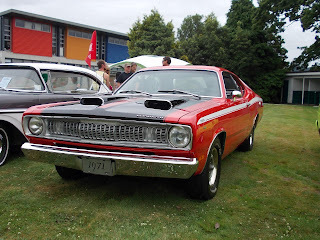 I just love these Mopar 2 doors. A 1967 Dodge Coronet 440. 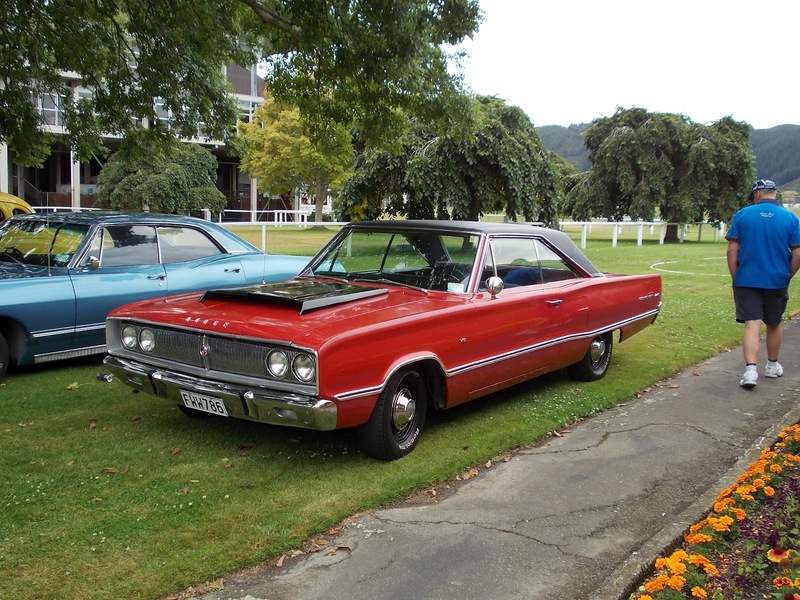 In the same basic body style, but this time from Plymouth, a 1965 Sport Fury Commando. 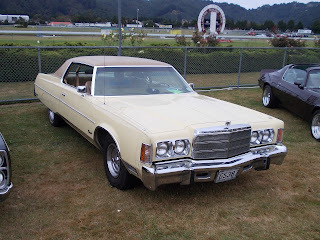 This is more the sort of 2 door your Dad would own if you were an American in the late 70s. 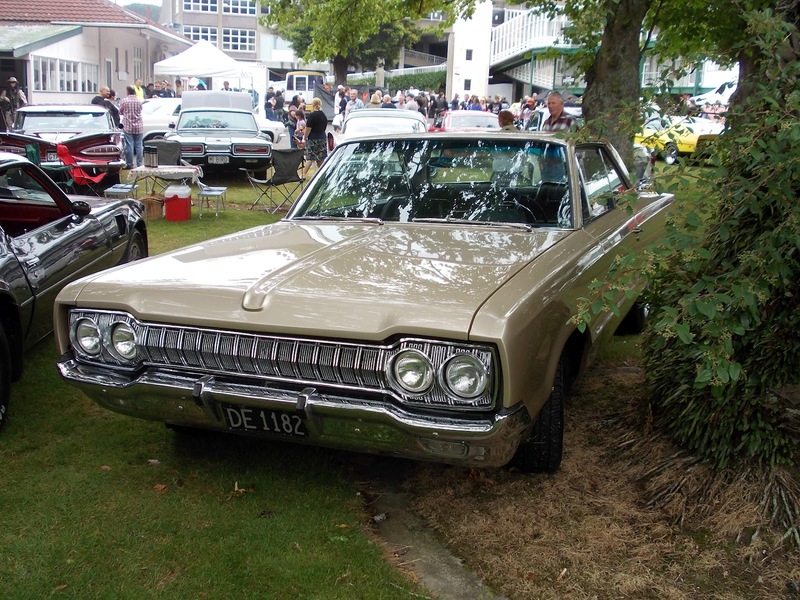 This '65 Dodge Monaco is hiding in the bushes. 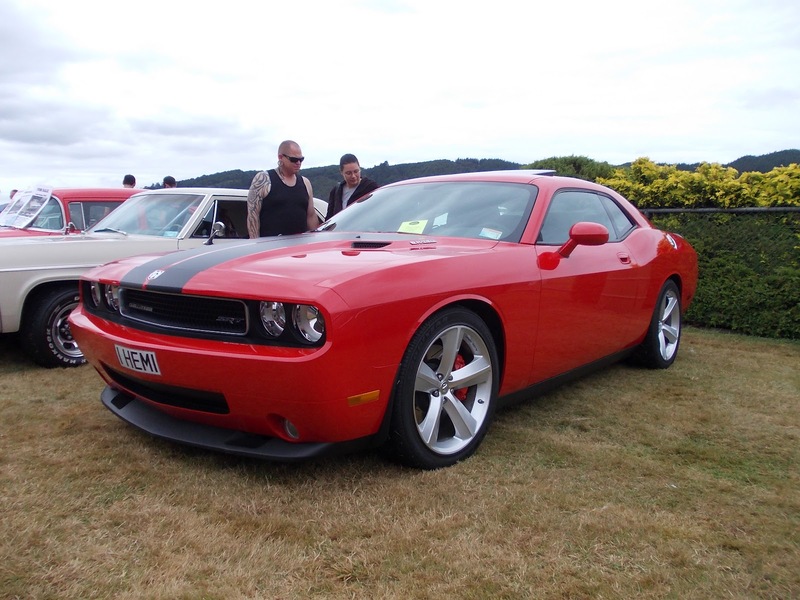 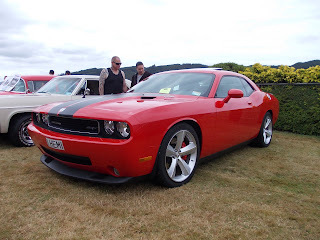 Very smooth lines for the 2009 Dodge Challenger SRT8 and reminiscent of the original Challenger of 1970. 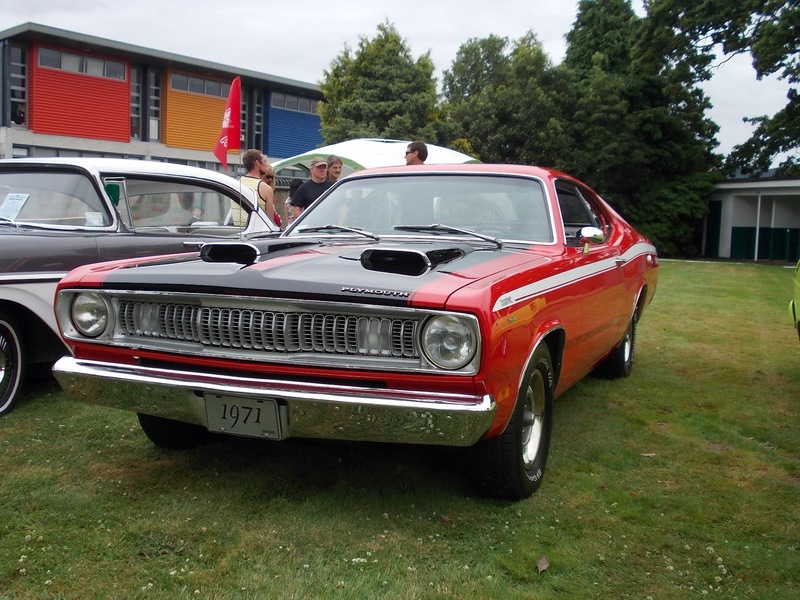 The 1971 Plymouth Duster Twister is almost a tongue twister. 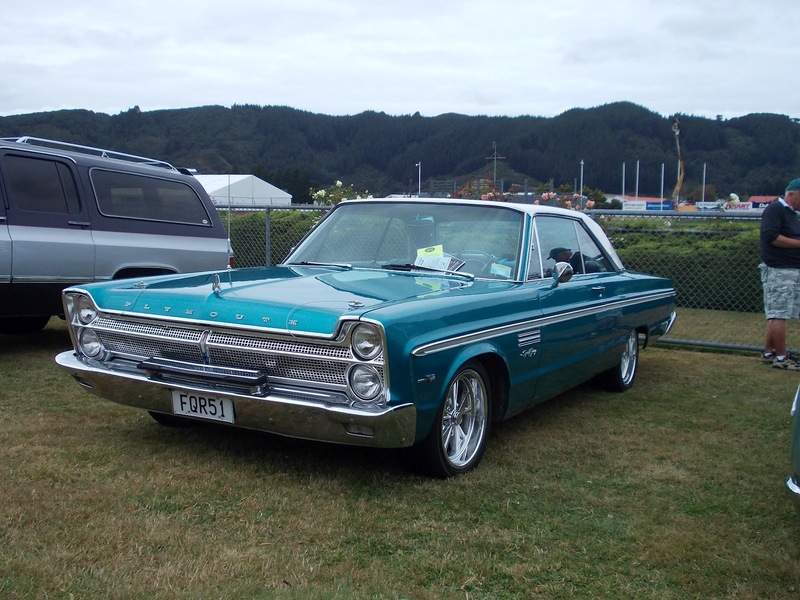 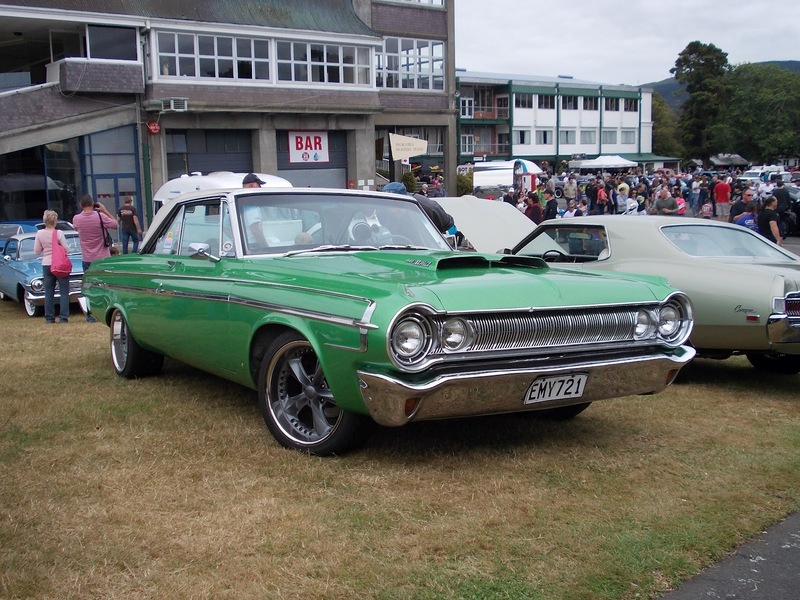 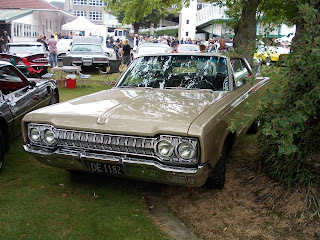 I liked this 1964 Dodge Polara, but personally I would have chosen different wheels.